Conrad Hilton Boulevard in Cisco, named in honor of the hotel magnate who bought his first hotel in the town. One in a series of occasional articles on issues that polarize the American electorate. 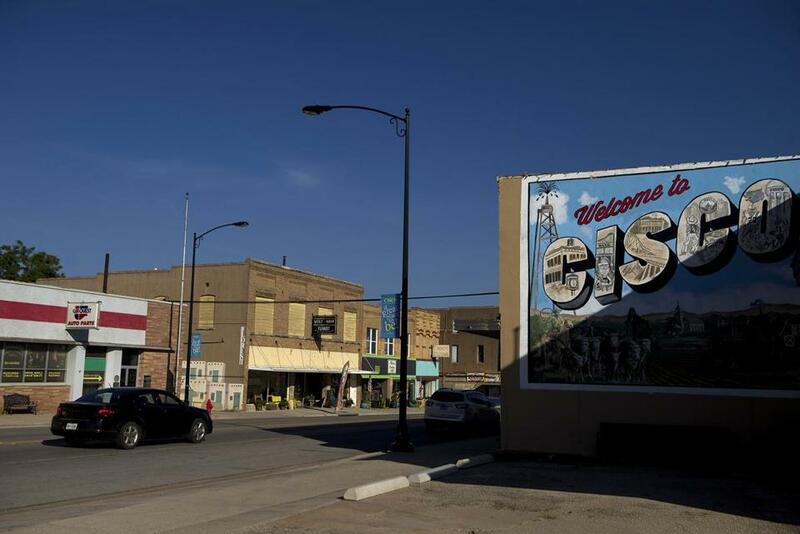 CISCO, Texas — Brothers Farris and Dan Wilks grew up here in a converted goat shed amid the ranchlands. They seemed destined to spend their lives in their father’s masonry business. They had little money to spare and didn’t show much interest in politics. Then, one day in 2002, they decided to invest in a once-obscure branch of the natural gas business known as “fracking.” Before long, two things changed: The brothers became fabulously wealthy, and election laws were upended by the Supreme Court. By the time the Wilks brothers sold their company, Frac-Tech, in 2011, they both were billionaires. This year, seizing upon the opportunity presented by loosened election laws, they have made a new investment: the race for the presidency. Therein lies a story that is redefining the way democracy is practiced in America — to some, it is a breakthrough for free speech; to others, a dire threat to fair elections. Along with their wives, the Wilks brothers have donated more money to so-called super Political Action Committees in this presidential election than any other family. Their cumulative $15 million has gone to support Senator Ted Cruz, the Texas Republican. 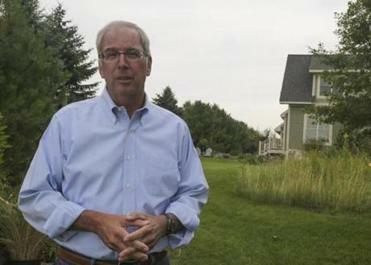 Investors saw an opportunity, but the CEO of a Wisconsin paper company saw a threat to his operation and workers. Cruz super PACs separately received donations of $10 million and $11 million from two other individuals, meaning that just six people have given his committees $36 million. No other candidate’s super PACs have received so much money from so few people. By comparison, Cruz’s campaign has raised $14 million. The Wilkses political contributions illustrate how a new class of billionaires is joining with longtime contributors to shape the 2016 presidential campaign. It is evidence of one of the deepest divides in America today: In an election that many candidates say should be focused on income inequality, a handful of billionaires is drowning out the campaign contributions of the average citizen. The impact of these super-rich donors has grown faster than many may realize. At this time in 2011, presidential super PACs — which can advocate for a particular candidate and accept unlimited individual donations — had raised $15.6 million. So far this year, presidential super PACs have raised $258 million, according to the nonpartisan Center for Responsive Politics. That is about double the amount raised directly by the campaigns. This year’s super PACs are different and potentially far more powerful than they ever have been, in ways that are now becoming plain. A super PAC, while theoretically barred from coordinating tactics and plans with a candidate, often serves as a de facto campaign committee — albeit, one that doesn’t have to adhere to a $2,700 limit on individual contributions. Unlike in 2012, when super PACs took off but wasted much of their money on advertisements in a flooded political marketplace, this year’s committees plan to replicate an array of ordinary campaign activities and save enough cash for an all-out blitz during the primaries. The Cruz super PACs have even promised major contributors that they can have daily input on spending and strategy of the PAC, giving major donors far more influence than before. That is just what concerns campaign finance reform advocates who worry the campaign will be dominated by a few mega-donors. “You have a relatively small number of the wealthiest people in the country exercising extraordinary influence at the same time that 300 million Americans are sitting on the sidelines watching this,” said Fred Wertheimer, the head of Democracy 21, who since 1971 has been pushing for limits on campaign spending. A telling statistic supports his point. As of June 30, more than 48,000 Americans had donated $130 million directly to the presidential campaigns. Meanwhile, just the top 65 donors gave almost exactly as much — $132 million — to presidential super PACS. Among those top donors are the four members of the Wilks family, who suddenly had a national stage on which to air their views. 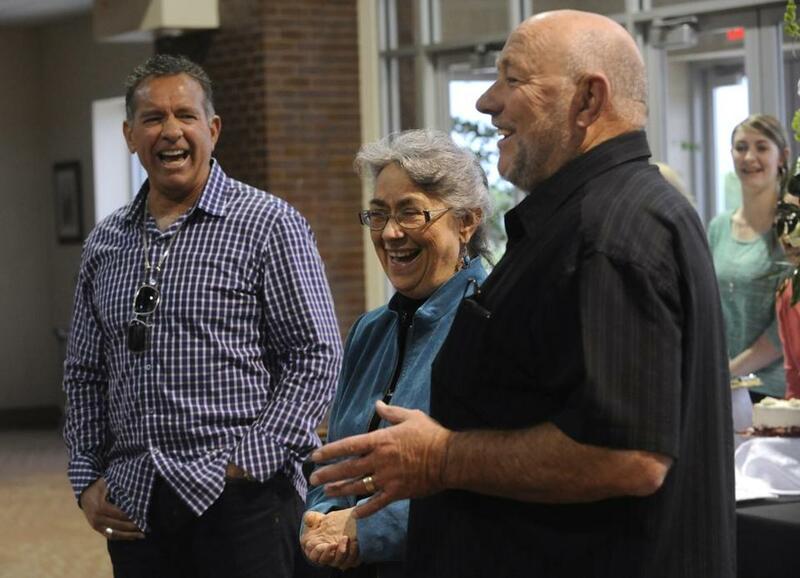 Farris Wilks, right, and his brother Dan laughed with their sister, Beth Maynard, while telling a story about her time working for their company. For years, the Wilks brothers had little political involvement and were only modest contributors to federal political campaigns. In 2008, for example, Farris Wilks gave only $2,500 each to the Republican National Committee and the McCain-Palin Victory Committee, according to federal election records. Dan Wilks didn’t donate anything to federal campaigns in 2008 and 2010, according to federal election records. As the brothers became extraordinarily wealthy, they looked for ways to spend their money. At first, they poured some of their riches into Montana, where they today are considered the largest individual landowners. They also put millions of dollars into projects such as an athletic complex for their modest hometown of 3,820 people, which straddles Interstate 20 about two hours west of Fort Worth. It does not appear to the casual observer like a place that would be home to a pair of billionaires. The city is perhaps best known as the site of the first hotel bought by Conrad Hilton, of Hilton Hotel fame, a two-story structure that is now a museum. Today, Conrad Hilton Boulevard, with its many empty storefronts, only hints at the city’s oil-boom past. The tallest building, an abandoned seven-story former hotel, is pocked with broken windows, overlooking and seemingly mocking a sign for Prosperity Bank. The median household income is $34,002, compared with $51,704 for the state. The Wilks family, after gradually upping their contributions to campaigns in the last two election cycles, stunned many in the political world by giving $15 million to Cruz’s committees, leading to comparisons with the Koch brothers, another pair of billionaires who have spent heavily for years on conservative causes. But the Kochs are different; they portray themselves as libertarians who mostly don’t involve themselves in social issues. The Kochs so far have contributed mostly to nonprofit political groups that push a decidedly Republican agenda, but haven’t endorsed a primary candidate. The Wilks brothers, by contrast, are deeply motivated by their conservative social views, and have focused on backing their fellow Texan Cruz for president — a strategy that could have its greatest impact on the GOP primaries. Farris Wilks, 63, the father of 11 children, had long been a conservative, albeit one who rarely gives interviews. His website, www.farriswilks.com, provides only a hint of his views, describing him as a hard-working family man who unexpectedly became a billionaire. “It is his own concern for our nation and the direction that it is headed that has awakened in him a desire to support and promote causes he believes in,” the website says. Farris Wilks spoke during an interview with the Christian Broadcasting Network. To those in Cisco, it was well-known that one of Wilks’s chief concerns was his opposition to gay marriage. He spoke frequently about the subject at his 185-member church, the Assembly of Yahweh — 7th Day, which he helped finance and where he serves as pastor. The church calls itself a “nontraditional” Christian congregation that is midway between Judaism and Christianity. It observes Jewish holidays such as Passover but not Christmas or Easter. In one sermon that was initially posted on the church’s website, Wilks outlined his case against gays and lesbians. The church later removed the audio, but not before it was duplicated by a left-leaning group, People for the American Way, which provided copies to the Globe. Farris Wilks initially sought to spread his influence by creating his own nonprofit group, the Thirteen Foundation, which contributes to groups fighting abortion rights and gay marriage. Wilks and his wife, Jo Ann, each gave $50 million to the foundation. Cruz’s super PAC backers came up with a campaign strategy that, rather than cast a wide net for donations, would rely heavily on having a handful of Cruz’s wealthiest personal friends give huge amounts of money to super PACs supporting the senator. The Wilks family fit perfectly into their strategy. Cruz announced his candidacy on March 23. Within weeks, his associates filed papers to create four super PACs, all with variants of the name Keep the Promise. They, like others of like mind and wealth, were taking advantage of an opening cleared by federal courts. Under the 2010 court ruling known as Citizens United and a circuit court case called Speech Now, individuals, corporations, and unions could give unlimited amounts of money to a political committee that is independent from the candidate. Previously, individuals could give $5,000 to such committees. The courts ruled that limit violated the right of free speech. That led to a boom in super PACs starting in the 2012 presidential election. But many top Republican donors became angry at how super PACs spent their money. For example, Karl Rove’s American Crossroads super PAC spent $105 million in 2012 in its effort to elect Republicans but had a mere 1.3 percent rate of success, according to an analysis by the nonpartisan Sunlight Foundation. Mitt Romney’s super PAC, Restore Our Future, raised $142 million but failed in its mission to elect him as president (although it did run primary ads that helped him win the nomination). “There were feelings of betrayal and disappointment and that there was not a great return on their investment,” said Conway, the director of analytics and data for the four Keep the Promise super PACs that support Cruz. Cruz’s associates promised to do things differently. They assured a handful of Cruz’s wealthy friends that if they donated massive amounts of money they would have considerable control about how their funds were spent. The donors could hire their own political operatives, help decide how money is spent, and provide daily input. On April 9, Toby Neugebauer, the son of US Representative Randy Neugebauer, a Texas Republican and cofounder of a company called Quantum Energy Partners, gave $10 million to Keep the Promise II. Neugebauer made headlines last year when he moved to Puerto Rico, which could enable him to pay a lower tax rate. The federal government levied little or no tax on residents of the US territory who live there at least 183 days a year on their Puerto Rican income. In addition, Puerto Rico did not levy a capital gains tax on new residents no matter where the money is earned. Neugebauer, who declined an interview request, has denied that he moved to Puerto Rico for tax reasons, telling Bloomberg News last year that he left Texas so his children would have a chance to learn Spanish and attend good schools. 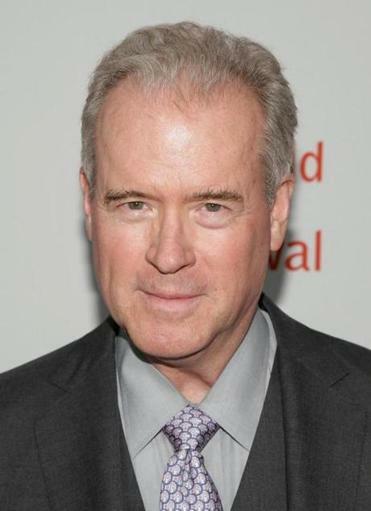 Hedge fund manager Robert Mercer. On the following day, April 10, hedge fund manager Robert Mercer, cochief executive officer of Renaissance Technologies, gave $11 million to Keep the Promise I. The US Senate Permanent Subcommittee on Investigations reported in 2014 that Renaissance was one of more than a dozen hedge funds that “misused” the tax code in a way that saved investors billions of dollars. 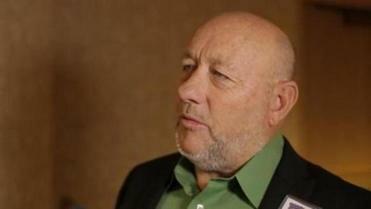 Company officials denied wrongdoing at a Senate hearing on the matter. The IRS announced in July that it would scrutinize trades going back to 2011. Cruz has said he wants to abolish the IRS. Mercer declined to comment. Then came the Wilks family. On April 13, Farris Wilks and his wife, Jo Ann, each gave $5 million to Keep the Promise III. Then, on June 29, Dan Wilks and his wife, Staci, each gave $2.5 million to the same super PAC. All told, these six people gave Cruz’s Keep the Promise super PACs $36 million. It would have taken 13,333 donors giving the maximum $2,700 apiece directly to his campaign to raise that much money. They gave Cruz an extraordinary headstart — and, potentially, gave the elite donors an unusual degree of influence on the campaign and possible presidency. Chuck Smith, executive director of Equality Texas, which advocates for gays, lesbians, and transgender individuals, said that the Wilks donations illustrate what’s wrong with the campaign finance system. Only one-half of 1 percent of the voting-age population donated more than $200 to a federal campaign in 2012, according to the Center for Responsive Politics. But top earners gave at a much higher rate. Longtime observers of campaign finance rules say this year’s race for super PAC contributions from the mega-rich has exceeded anything before it, and warned of the inherent danger of candidates relying on a handful of such people who have special interests. “If the ability of someone to be viable is to find someone like the Wilks, then the democracy is vulnerable,” said Bob Biersack, senior fellow at the Center for Responsive Politics. Under federal campaign law, super PACs and campaigns are not supposed to coordinate with each other. But the idea that super PACs are independent from campaigns means little in practice, according to Lawrence Noble, former general counsel of the Federal Election Commission and now counsel to the Campaign Legal Center, a nonprofit advocacy group. Cruz declined an interview request. 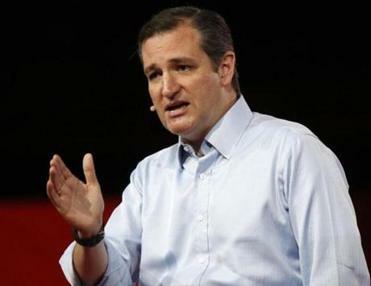 “Donor stories don’t help; they are not an effective way to be communicating with voters,” spokesman Rick Tyler said in explaining why Cruz wouldn’t talk. Tyler said the campaign has been “super diligent” to avoid coordinating with the super PACs. Four years ago, however, Tyler was candid about how de facto coordination can occur. Tyler at that time was senior adviser to a super PAC supporting former House speaker Newt Gingrich for the presidency. Asked about the limits on coordination with the Gingrich campaign, he told the Globe at the time how easy it was to signal the PAC’s intentions. Cruz, of course, is not the only Republican candidate to benefit from super PACs. Jeb Bush helped a super PAC that supports his bid raise some $100 million, more than any other Republican candidate. A super PAC supporting Wisconsin Governor Scott Walker has raised $20 million, one backing Senator Marco Rubio has collected $16 million, and one that promotes New Jersey Governor Chris Christie has $11 million, according to the Center for Responsive Politics. The wild card factor is the candidate who doesn’t need super PAC money: Donald Trump. He has the financial and political luxury of criticizing the fund-raising practice because he has his own multibillion-dollar fortune to tap. On the Democratic side, Hillary Rodham Clinton last Tuesday called for overturning the Supreme Court ruling that she said has resulted in a “political system hijacked by billionaires.” Nonetheless she has benefited from a super PAC that supports her, Priorities USA Action, which has collected $15 million, including $1 million donations from billionaires such as movie director Steven Spielberg and hedge fund manager George Soros. Clinton’s Democratic rival, Senator Bernard Sanders of Vermont, has said that “the current political campaign finance system is corrupt and amounts to legalized bribery.” Sanders, who has proposed public financing of campaigns, has relied only on direct contributions to his campaign. He had collected $16.4 million as of June 30. Harvard Law School professor Lawrence Lessig launched his presidential campaign last Wednesday, based on his platform of campaign finance reform. But as the Wilks family donations to the Cruz super PACs demonstrate, a handful of donors who have a strong viewpoint and deep pockets could keep alive a candidacy that might otherwise quickly expire. The Wilks brothers and others could keep on contributing unlimited amounts of cash throughout the election season, and that has led to concerns that this election will be dominated by super PACs, mega-donors, and a super-rich candidate. Court rulings in 2010 allowed individuals to give unlimited contributions to “super Political Action Committees,” which can advocate for or against a presidential candidate. Critics say that has allowed a handful of super-wealthy people to have disproportionate impact on campaigns. 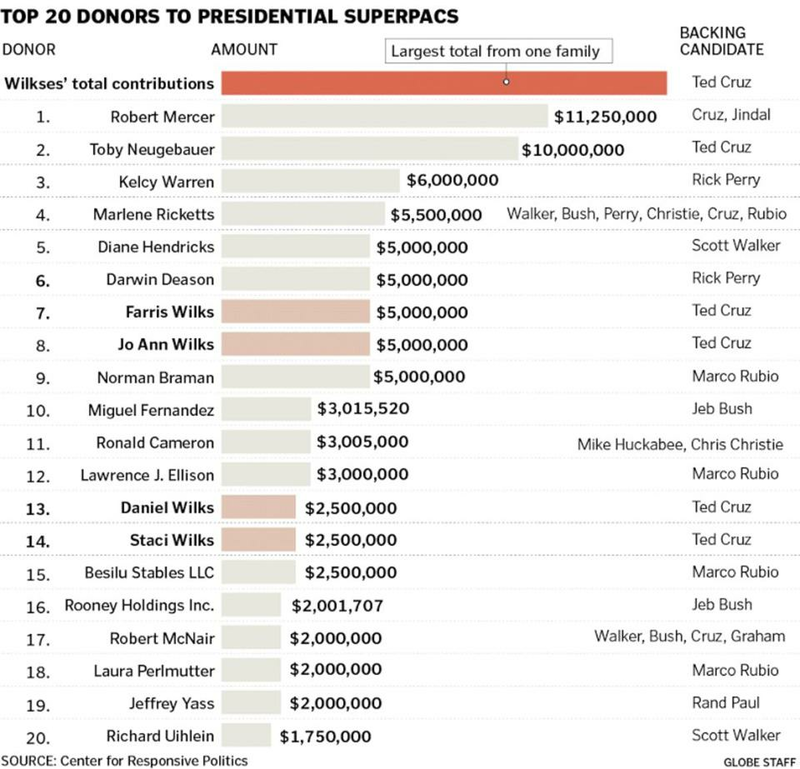 $132 million-plus: Contributed by the top 65 donors to Presidential superPACs. $130 million: Total contributed by thousands* to campaigns. * Those who give less than $200 each aren’t itemized in reports, but with an individual contribution limit of $2,700 per election, there would be more than 48,000 donors if everyone gave the maximum and the total was $130 million.